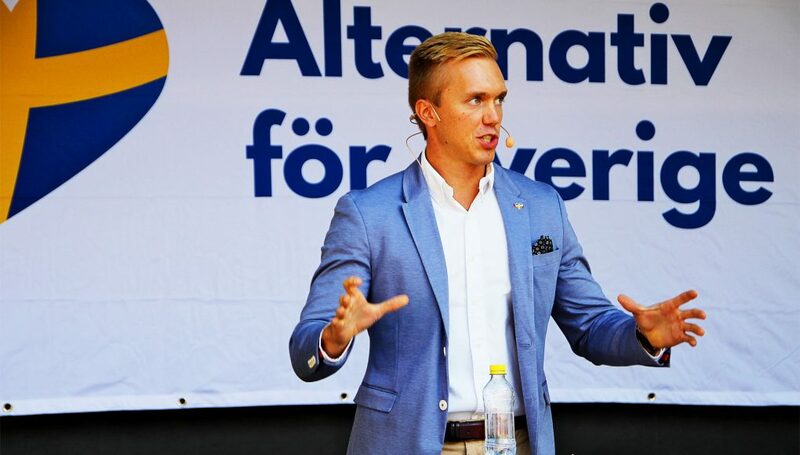 William Hahne, deputy chairman of Alternativ för Sverige (AfS) speaking at a meeting in Stockholm on the 11th of August, 2018. An overview of the growing influence of illiberal political movements and schools of thought: why have they arisen and where are they going? Nearly thirty years ago, the Berlin Wall came crashing down and we entered the Post-Cold War era. Liberalism had triumphed and we had finally arrived at ‘the end of history’1 – or so we had thought. Nowadays, we find that the foundation of liberalism is not as strong as once imagined and we are witnessing the ascendancy of illiberal political forces all over the globe. Will we be entering a Post-Liberal world in the near future? Following the end of World War II and the beginning of the Cold War, we began to witness divergence taking place in the political spectrum. On the Left, we saw a schism arise; the Left split into two forces which became known as the Old Left and the New Left. The Old Left represented political forces that were highly sympathetic to the Soviet Union and Communism. Once the globe was divided into two poles, Liberalism and Communism, the Old Left became less relevant as a political force and many was subjected to ‘witch hunts’ by the likes of Senator Joseph McCarthy. With the decline of the Old Left, we then began to see the rise of the New Left, also known as progressivism. The New Left was strongly influenced by critical theory. It concentrated more on issues of the sociological and cultural inequalities that existed in society and was much less concerned with Marxist economic theory. Left-leaning intellectual circles, such as Partisan Review, became strong proponents of New Left thinking, which was socially democratic and anti-Communist.2 In contemporary political discourse, the New Left is the origin of what has come to be known as ‘identity politics’, i.e. politics concerning feminism, multiculturalism, etc. On the right, particularly in the United States, we saw a similar divergence. The little that existed in the United States of the Old Right, that part of the Right sympathetic to fascism, had been completely relegated to the dustbin of history with the defeat of Fascism and Nazism in World War II. In fact, during the war, most of those who were sympathetic to fascism were jailed or punished in some manner.3 The few Old Right sympathizers that existed post-WWII were heavily marginalized by what became known as the New Right in America (not to be confused with le Nouvelle Droite movement that arose in France in the late 1960s). The American New Right was a form of right-liberalism which was an amalgamation of views, such as pro-capitalism, support for limited government, anti-Communism (also, anti-fascism), a hawkish interventionist foreign policy, and a defense of Christian family values. The American New Right, better known as conservatism, was popularized by figures like William F. Buckley and his magazine, National Review, along with political figures like Barry Goldwater. Both conservatism and progressivism are forms of liberalism (conservatism being a right-liberalism and progressivism being a left-liberalism). Both stand in opposition to communism and fascism. Both are advocates of liberal democracy, free-market capitalism, egalitarianism, and humanitarianism. Since right-liberalism, conservatism, accepts all of the key tenets of liberalism, it has proven itself to be a largely ineffectual opposition to left-liberalism. Ironically, with the defeat of their only remaining ideological adversary, communism, both ideologies had the wind taken out of their sails. Conservatism thus shifted its geopolitical goals to opposing ‘Islamo-fascism’. This was temporarily successful, as we saw with the rise of the neoconservative movement, especially following the events of 9/11. However, the American people have quickly become disenchanted with the neoconservative war footing overseas. As for progressivism, with the competing strain of leftism out of the picture, it has been largely set adrift, dabbling in bizarre expressions of leftism, e.g. whiteness studies, third-wave feminism, queer theory, and gender theory. Progressivism has become a ‘rebel without a cause’ because it is the last man standing and the triumphant victor of the Cold War, yet it finds itself without anything it might define itself in opposition to. In the post-Cold War era, we are left with an effete right-liberalism and a triumphant, but aimless, left-liberalism. With the arrival of the ‘end of history’ and its permeation all over the globe in the form of globalism, we are ready to enter into the era of post-liberalism. In 2018, we see the rise of illiberal forces all over the planet. In the West, we see Donald Trump, Bernie Sanders, Brexit, Orbán in Hungary, Salvini in Italy, European identitarianism, nationalist populism and the alt-right. In what remains of the Middle East, we see Assad, Erdoğan, Hezbollah, the Ayatollah and the spread of Wahhabism. We see the rise of Putin, who is in opposition to American hegemony. In the East, we see the DPRK, China, and Duterte in the Philippines. In Latin America, Maduro still carries on the flame of the Chavez legacy in Venezuela. All over the world, from both the left and the right, we see an opposition to liberalism. Several key factors, which have played a role in the rise in opposition to liberalism across the entire political spectrum, have stood equally in opposition to American foreign policy, open-borders immigration, and demand for economic security. Topic of the fourth political theory. Naturally, in response to this rise in illiberalism, we see liberalism lashing out in various ways against each of these political forces. We are witnessing in consequence the rise of a new political paradigm. Russian philosopher, Alexander Dugin, refers to the opposing political force in this new paradigm as ‘the fourth political theory’.4 It is not yet completely formulated as a political ideology but it incorporates pieces of Communism and Fascism and stands in opposition to Liberalism (see image). Similarly, Alain de Benoist has called for a periphery against the centre.5 Slovenian Marxist philosopher, Slavoj Žižek, has also called for a right-left alliance.6 In the West, we see that populism is most likely going to be the most viable vehicle to bring about this political change. The greatest challenge that opponents of liberalism face will be cooperation with other illiberal political factions. In the United States, it is unlikely that we will see a coalition between populists of the right and left (supporters of Donald Trump and Bernie Sanders). However, in Italy, we see some cooperation between Salvini’s Lega and the Five Star Movement. Cooperation is possible and it will be necessary. Jewish-American paleoconservative professor, Paul Gottfried, calls for a ‘stripped-down’ populism which avoids politically divisive issues.7 Given the nature of the American political structure, it appears bipartisanship will be necessary to address the concerns of populists. Even then, issues such as immigration, foreign policy, and the economy can still be divisive. Populist success in the United States will be of the utmost importance as well, since it is the ‘belly of the beast’ so far as Liberalism goes. In order to seize the opportunity granted to us by the successful presidential campaign of Donald Trump, we must develop a critical theory of populism. Building a fourth political theory and dismantling Liberalism will require a new school of thought. 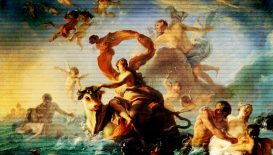 By seeking to understand the nature of Liberalism and the nature of populism in response to Liberalism, we can begin to create a new critical theory. 1Fukuyama, Francis. The End of History and the Last Man (1992). Fukuyama argued that the worldwide spread of liberal democracy and free market capitalism of the West would signal the endpoint in humanity’s sociocultural evolution and become the final form of human government. 2Partisan Review was an influential intellectual magazine from the 1950s onward until its last issue was published in 2003. In the 1950s, Partisan Review was the recipient of CIA funding in order to promote shift intellectual opinion and create a new anti-Communist leftism. For more information, read Hugh Wilford’s The Mighty Wurlitzer: How the CIA Played America (2009). 3In 1943, Ezra Pound was arrested for treason and served ten years in a psychiatric ward. In 1939, the National Association of Broadcasters, forced Father Charles Coughlin off the air; in 1942, the Postmaster General revoked Coughlin’s mailing privileges in order to prevent further circulation of his newsletter Social Justice. In 1942, William Dudley Pelley was sentenced to fifteen years in prison for sedition. 4Dugin, Alexander, The Fourth Political Theory (2012). Dugin examines the three political theories of modernity: Liberalism (1PT), Communism (2PT), and Fascism (3PT). 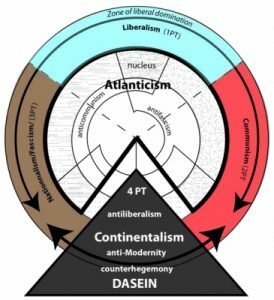 With only Liberalism now remaining and threatening to monopolize global political discourse, Dugin argues for the need of a Fourth Political Theory (4PT) in order to counter Liberalism. 5On May 12th 1993, Alain de Benoist called for a rejection of the traditional left/right political dichotomy. Instead, he preferred the usage of ‘the centre’ and ‘the periphery’. The centre is comprised of all the various political factions which uphold and defend liberalism. The periphery is compromised of all the various factions which are in opposition to liberalism. In Benoist’s view, the far left and far right should naturally ally with one another against liberalism, instead of allying themselves with those who uphold and defend the current political order (conservatives, progressives), and are therefore compromised. 6Žižek, Slavoj, ‘Alt-right Trump supporters and left-wing Bernie Sanders fans should join together to defeat capitalism’, Independent. November 26th, 2017. 7Gottfried, Paul. After Liberalism: Mass Democracy in the Managerial State (1999), pp. 131–134. Thank you for this post. May I say that your general rules and guidelines for contributors speak as clearly as your post, about the need for cooperation and understanding towards ideas we disagree with. Comments will not be moderated on the basis of the opinions expressed (controversy is welcome), but rather on their quality. Contributors are requested to obey the rules of civility, without which all discourse is null, and to avoid crude personal attacks. Wit is welcome, but argument, and not insult, will be the expected means of refutation. Obscenities, vulgarity and slurs will not be tolerated. Contributors are invited to check their contributions for general grammatical correctness (allowances will obviously be made for second-language speakers) and logical cohesiveness. As a general guideline, all contributors should imagine that they are speaking their minds aloud in a public space, unhindered by political correctness but bound to the older standards of honour and decency in speech. All decisions of the moderators are final. 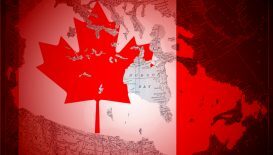 The situation in Canada mirrors that of the West in general – both in its problems, and in the possibility of seeking recourse to them through existing law. 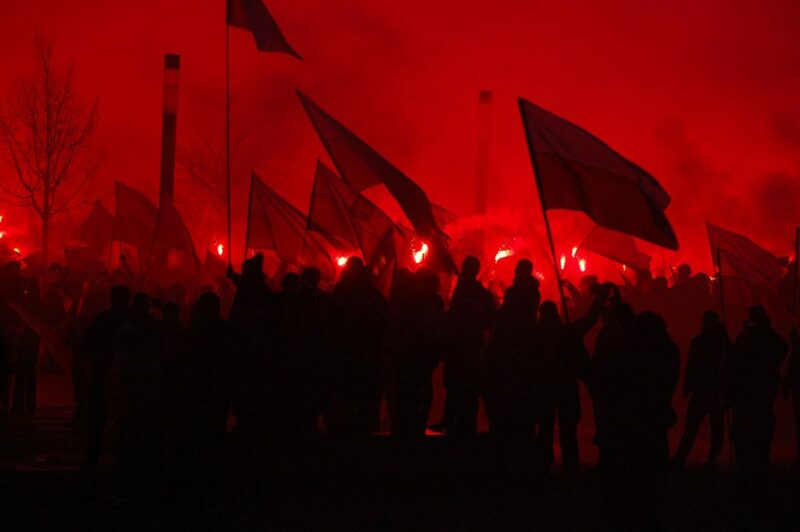 Europe presently stands between the spectre of the globalist EU on the one hand, and the danger of violent internal fragmentation on the other. What course can be charted among these threats? In our attempt to change society, it is to men’s souls and minds that we must appeal, their view of society’s purpose rather than their view of society’s design. 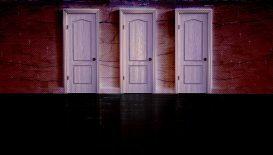 previous post: What is the Deep Right?